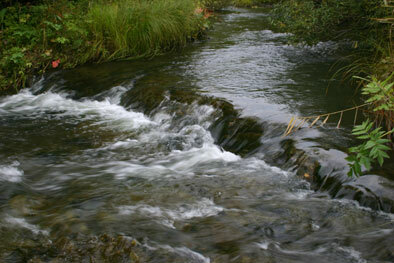 The River Programme two projects, concerning the rivers Katun’ (Republic of Altai) and Izdrevaya (Novosibirsk region). We aim to preserve this river from the construction of dams to power a hydro-electric station, an undertaking that would be harmful to both the nature and the inhabitants of the Southern Siberia. 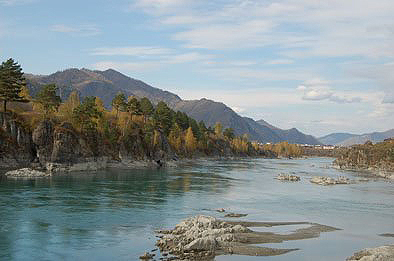 The plan to build a hydro-electric station on the Katun’ (Altai) is supported by the local government, although the station would be an ecological hazard and also economically inefficient. According to specialists, the plan should not be realized. From the middle of the last century, this small river has provided water and food for 50 gardening communities and two villages, and still is to them an essential natural resource. In some places it greatly resembles a mountain river, which is a rare type in the generally very flat Novosibirsk region. Siberian Environmental Center aims to change the conditions of the natural resource use in the Izdrevaya basin so that destructive processes were halted and the local government, the inhabitants, the people cultivating the adjacent land and other interested parties would become motivated to restore the river ecosystem in the basin and on neighboring areas. The project website http://www.izdrevaya.ru is being updated continuously. Programme coordinator – Juliya Kolevatova. The international volunteer camp is not just 6 trucks of garbage collected in the river, forests, and ravines, 16 made and set up owl nests, 6 ecological festivals held for 140 children, 80 locals polled on the “garbage” topic, ecological round tables and seminars for residents of the nearby villages, it is also the volunteers who have done all this! The rubbish that which we had already cleared lay in a heap on the side of the road waiting to be loaded into the back of a truck and carried away but, typically, the car was no where to be seen. It appeared that our undertakings were some what lacking a sense of urgency, and our neatly piled rubbish waited. As satisfying as it was to admire these huge piles of collected rubbish (the fruits of our labour), the image was slightly tainted by the sorry sight of the dried up river bed, which despite our efforts was still partially blocked by rubbish. 33 winners of the competition 'Beloved River - New Riverbanks' received seeds of vegetables and herbs and seeds and bulbs of expensive and beautiful flowers for the worth of almost 30 thousand rubles in wholesale prices offered by the company Argos. From 18th to 20th August the heroic Older and More Experienced Comrades (abbreviated in Russian as ‘siboty’) – graduates from the children’s ecological movement of the Southern Siberia ‘Forest Protectors’ organized again a mobile ecological camp, this time at the station ‘Uchebnyi’ (Educational). The government of the republic Altai strongly supports the ambitious project to build dams and a hydro-electric station on the river Katun’. However, the federal government is looking into the matter more carefully. The Ministry of natural Resourses and Ecology answered to a letter send by the academics of the Petrovsk Academy of Arts and Science (PANI).